In a Nutshell: People who suffer from attention deficit hyperactivity disorder (ADHD) often find it difficult to stay organized, meet deadlines, and plan details of their everyday lives. 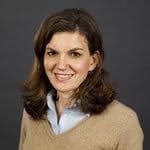 While this phenomenon typically manifests during childhood with issues at school, a new study led by researchers at The Ohio State University and the University of Florida suggests ADHD can also have negative effects on financial behavior, like missing credit payments and issues maintaining employment. The team’s research examines this phenomenon and dives deeper into how impulsive behavior often leads to present bias, or the tendency to prioritize instant gratification over long-term planning, which can lead to regrets and lower self-worth. In her book about women with attention deficit hyperactivity disorder (ADHD), “The Queen of Distraction,” Terry Matlen, a psychotherapist and ADHD expert/sufferer, describes the challenges she used to face on a daily basis. ADHD is believed to afflict far more adults than those who are actually diagnosed or treated, which is an estimated 4% of the population — which includes only those adults who were actually diagnosed as children. But fewer than 20% of adults with the condition have been diagnosed or treated, which means that many suffer, but write it off as being inherently disorganized, or in some cases, depressed. Alongside this premise, Itzhak Ben-David, a Finance Professor at The Ohio State University’s Fisher College of Business, led a study on the financial behavior of adults with ADHD with Dr. Theodore P. Beauchaine, of The Ohio State University’s Department of Psychology at the College of Arts and Sciences, and Dr. Aner Sela, a Marketing Professor at the University of Florida’s Warrington College of Business. 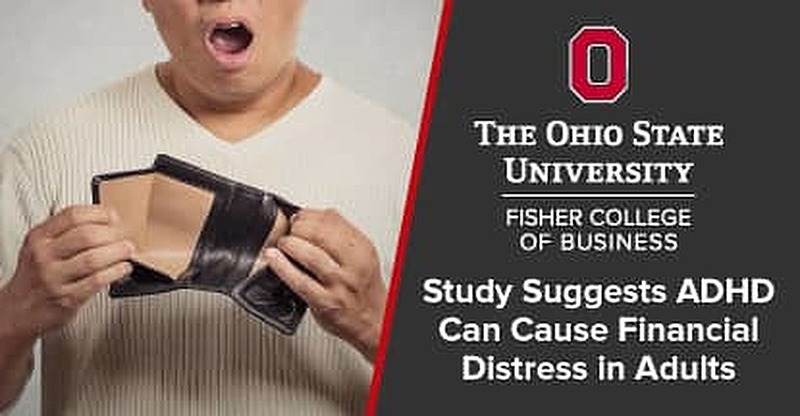 A joint study by The Ohio State University and University of Florida researchers aimed to discover the impacts ADHD has on adults and their finances. Itzhak and his colleagues conducted an extensive survey of 544 adults in the US and had their study published in PLOS in May of 2017. The financial aspect of the survey focused on three areas: debt management, employment history, and credit card usage. Some of the questions included: How many employers have you had? What was your average balance last year? Are you a payday borrower? How often was your account overdrawn last year? How often do you pay late fees? The survey also asked questions on demographics, as well as a standard ADHD questionnaire, which included 18 questions on impulsivity and inattention. They found that people with ADHD had difficulties in both the workplace and personal finance, both of which relate to their tendency toward impulsive behavior. “They live in the moment and have a deficiency of planning and thinking about the future,” Itzhak said. The most common manifestations of this are not showing up for work on time or paying their credit card bills on time. The researchers devoted a section of their survey to questions about present bias, the economics equivalent to the concept of impulsivity in psychology. Generally speaking, it refers to a tendency for people to live in the present moment instead of engaging in long-term planning. The survey asked people about their willingness to wait for a hypothetical financial reward. Specifically, they were asked a series of questions regarding their preference if they were offered $120 in one week versus waiting one year and appreciating up to double that amount. The research found people with ADHD had more present bias behavior, so preferred taking the immediate money over waiting for it to appreciate over a year. In real life, this can mean “they borrow more to fund present consumption,” Itzhak said. A nonfinancial example of present bias would be indulging in a dessert today instead of thinking about the future health implications, Itzhak continued. The corollary to this behavior is putting off difficult decisions, or doing difficult things, like going to the gym or starting homework early, he added. 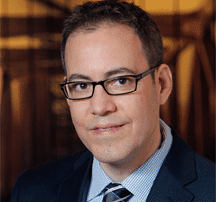 Ohio State’s Itzhak Ben-David led a study that showed people with ADHD typically struggle with finances. Related to present bias is the phenomenon of regret, Itzhak said. To illustrate this, he will sometimes ask his students a series of questions, such as: ‘How many of you drank too much last weekend?’ Many will raise their hands — and keep them raised when he asks if this was not the first time it happened, as well as whether they swore to themselves the last time they got drunk that it wouldn’t happen again. This regret, in people with ADHD, can feed low self-esteem, which can also cause depression — both of which commonly afflict people with ADHD. Itzhak told us the study’s findings were not necessarily surprising, but certainly helpful in understanding the associated behavior. Terry, the aforementioned book author, has come up with her own solutions, such as setting up automatic online payments, hiring a bookkeeper or assistant, having a low-cap credit card to prevent impulse buying, and opening a bank account with text or email reminders when your account gets too low. Through understanding tendencies, both researchers and ADHD sufferers can take steps to lessen the potential associated damage impulsivity can cause.